closing costs may be included in the loan up to the appraised value of the property.  Upfront guarantee fee may be included in the loan amount above the appraised value.  Condominiums may be eligible.  30 year loan terms with fixed interest rates.  Be a U.S. Citizen, legally admitted as a permanent resident, or be a qualified alien.  Have the legal capacity to incur the loan obligation. guarantee from the Single Family Housing Guaranteed Loan Program (SFHGLP). of the local commuting area may still be eligible for guaranteed loan consideration.  Occupy the home purchased in an eligible rural area as their permanent primary residence. exceed the moderate income limit established for the applicable rural area. adult (age 18 and up) household members.  Adjustments to annual income may be deducted for program eligibility determination. deductions with your SFHGLP contact. payment divided by the repayment income must be 29 percent or less. divided by the repayment income must be 41 percent or less. – Current rent/housing payment is equal to or less than the proposed PITI. similar to the PITI over the previous 12 months. – Strong credit score and repayment history. 1. Open country which is not part of or associated with an urban area. Agriculture and the Secretary of HUD. Property eligibility is available online and through GUS. improved to meet good repair.  There are no thermal performance standards for existing homes. perform a water quality analysis, which must meet state and local standards. qualified home inspector may perform the septic system evaluation. be obtained to confirm the property is free of active termite infestation. issued without the repairs complete. organization that reviews plans and specifications. before the shell is enclosed, and (3) a final inspection will meet requirements. accepted and evidence of construction inspections will be waived. acceptable evidence this requirement has been met. for less than 12 months and have never been occupied.  Loans must be secured by a first lien on real property in an eligible rural area.  Purchase an existing or new construction (stick built, modular, or manufactured) home.  Purchase or pay off a site as part of a new construction package.  Include eligible loan fees, including legal fees, title services, and eligible closing costs. always required for Section 502 Direct loan refinances. 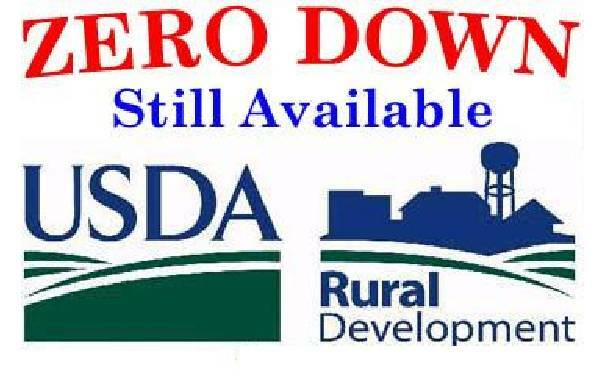 Kentucky Rural Development, Rural Housing Service Properties for Sale in Ky.
I’ll bookmark your blog and test again here frequently. I am fairly sure I will be told a lot of new stuff right right here! Best of luck for the next!